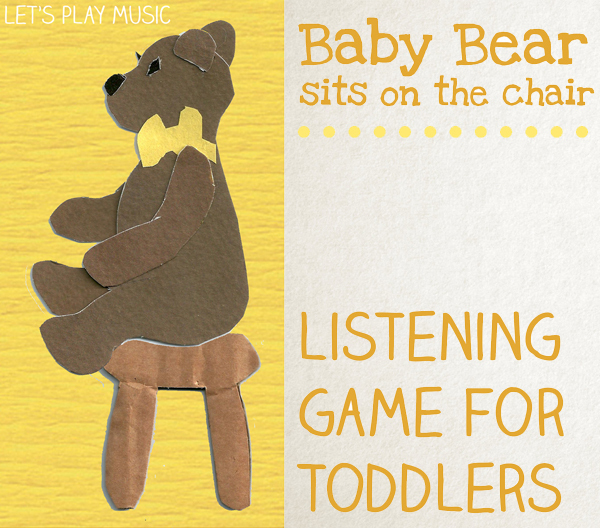 Baby Bear Sits On The Chair is the easiest version of this simple listening game. 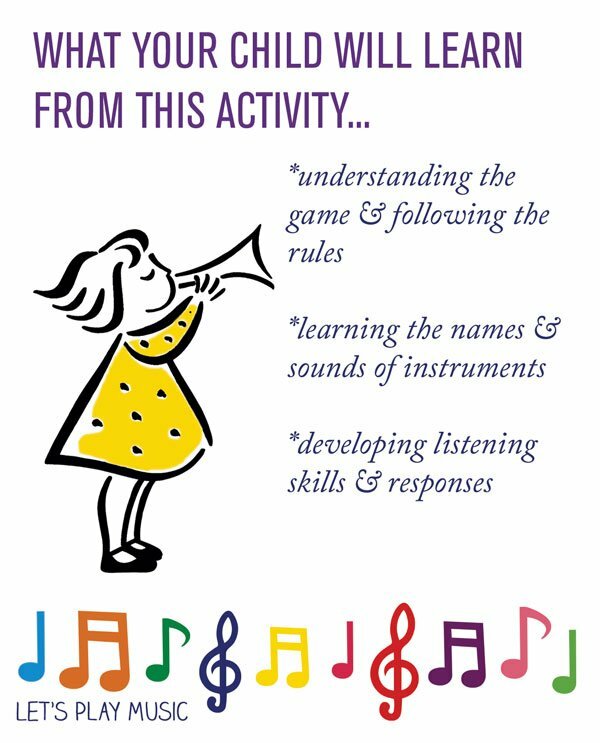 So it’s great for even very little ones because all they have to do is listen carefully and match the sounds. The child who is Baby Bear, sits on a chair or stool. You should also have the same three instruments, and sit behind Baby Bear. If you don’t have a double set of instruments, then just use the same ones and ask the Baby Bear to close his eyes. After you have sung the song you then shake or tap one of the instruments. Then ask the Baby Bear to copy the sound and identify the instrument that they heard. Who will dare , now who will dare? To steal a sound from Baby bear? 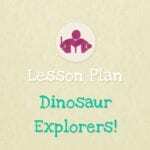 It is a very simple game and toddlers are very keen to show you how good they are at recognising the different sounds. When they are ready for something a bit more challenging, you can move on to Mrs Bear Sits On The Chair. 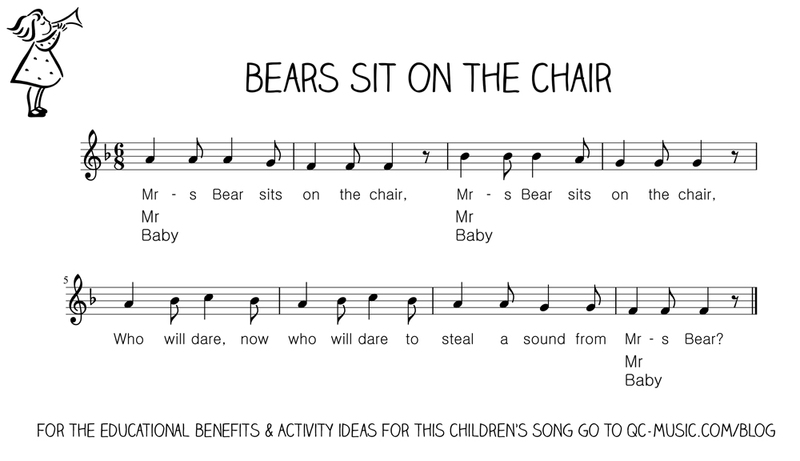 My class loved this listening game – perfect for our topic on Bears (and to encourage aural awareness). Many thanks! I love this! I made a felt storyboard with the bear and the instruments and held it up so I could hide the instruments behind it. Thanks Megan, Glad you liked the post and I love the sound of that felt storyboard! We would absolutely love it if you came and shared it on our Facebook page! best way to let baby learn the listening skills and how to respond on it.